You know that people are lost and that God wants them to be found. You also know that your church has the ability to meet the needs of those people. The question is, How do you draw in the people who need what your congregation has to offer? 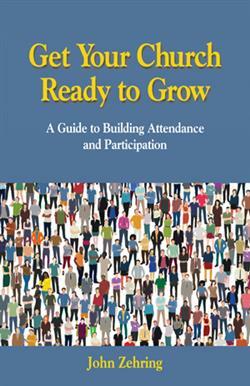 Beginning with a 12-question quiz to ascertain "How Ready Is Your Church to Grow?" author and consultant John Zehring goes on to offer a wealth of practical ideas and easy-to-implement strategies that are tailor made for your local church's stage of growth and readiness. Emphasizing participation and engagement over membership numbers, Zehring urges church leaders to focus on meeting people's needsin the congregation and, even more, in the surrounding community.